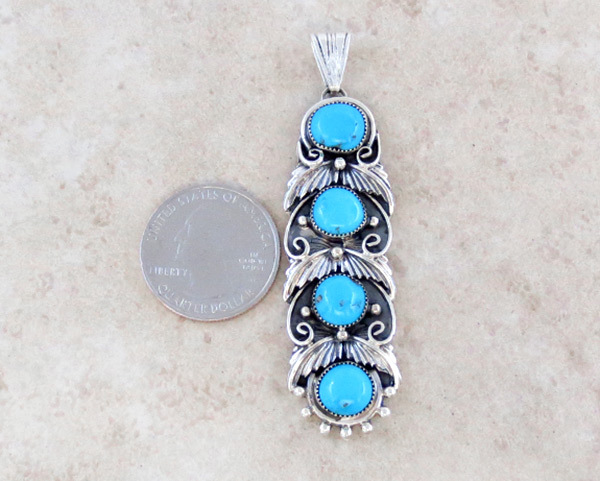 This long pendant was created by Navajo artist Mike Smith at Running Bear. 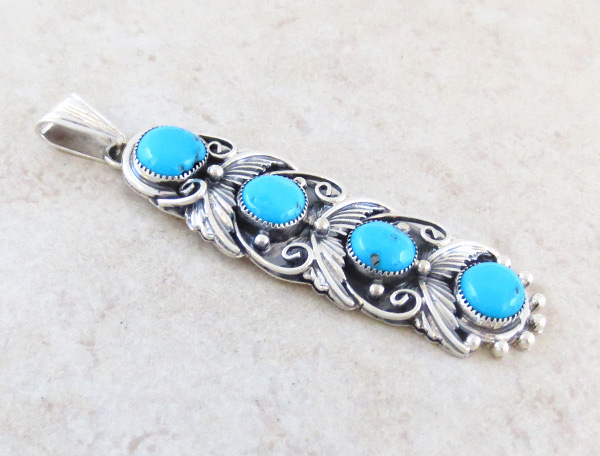 It has 4 blue turquoise stones, each set in a set in a fine sawtooth bezel. 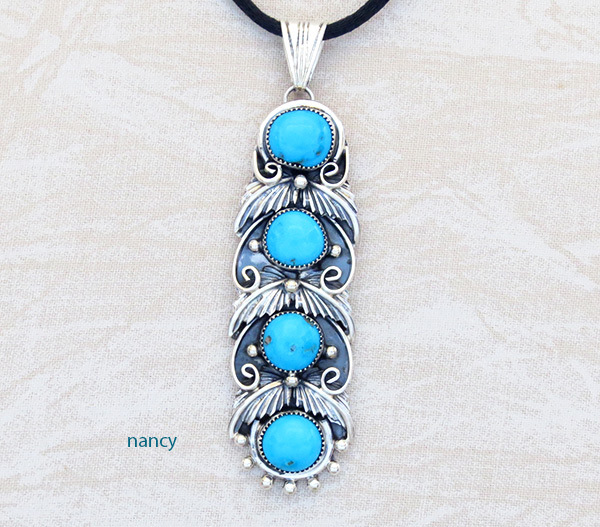 It's decorated with applied sterling silver curls, leaves and beads. Overall, including bail, it's 2 3/4" tall by 3/4" wide. 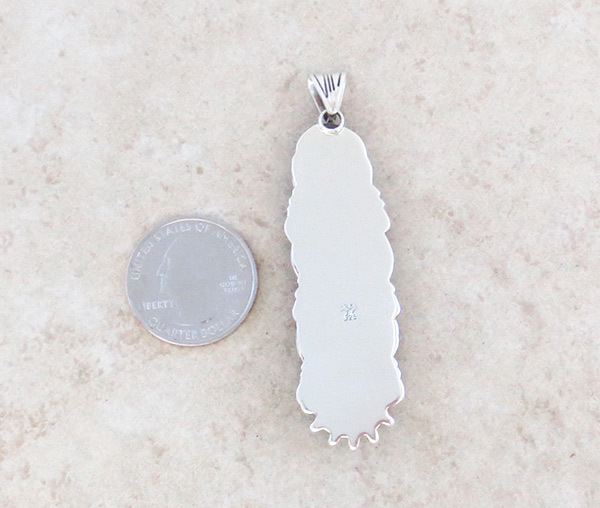 Pendant weight: 13.6 grams on my scale.